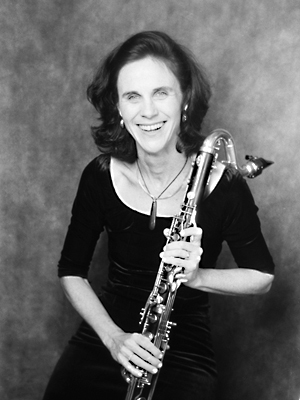 About Ros Dunlop » Tekee Media Inc.
Ros Dunlop is one of Australia’s leading clarinetists/bass clarinetists. She has been a strong advocate of new music for the clarinet & bass clarinet all her professional life. She has commissioned many Australian Composers and premiered many new compositions by composers worldwide. Ros has performed throughout Australia, New Zealand, Canada, the UK, Europe, Japan, Hong Kong, East Timor, China and the USA. She has performed in numerous festivals, including several International Clarinet Festivals in The USA, Japan, Canada and Europe. Her CDs have received International acclaim. In 2002 she visited East Timor for the first time, performing concerts in remote villages. Subsequently she embarked on an extensive project in East Timor, recording the traditional music of East Timor, a deeply hidden culture in danger of extinction, thus preserving it for future generations. In October 2012, she published the first book about the traditional music of East Timor, Lian Husi Klamar ~ Sounds of the Soul, The Traditional Music of Timor-Leste. This publication was made possible with the assistance of a grant awarded to her by the US State department to write this book. She is currently enrolled as a PHD student at The University of Newcastle, NSW, Australia. Her research topic is about the traditional music of East Timor. Ros teaches clarinet at Sydney Conservatorium of Music.